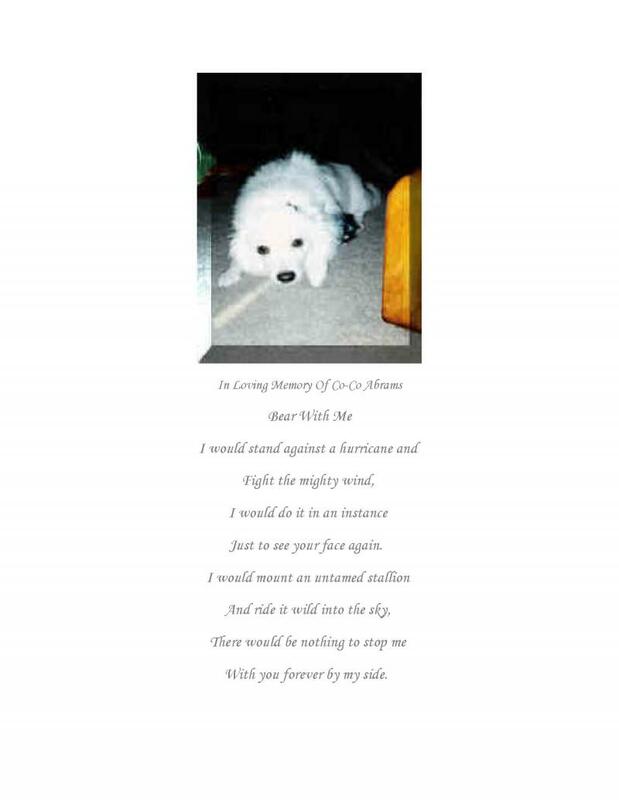 Custom poems will be written based upon information you provide on your loved one (including pets). Poems are usually four stanzas containing three to four lines, however, the length of the poem may vary depending on the event or occasion. You may also send your own personal pictures to use to compliment your poem. If you have questions or need additional information, please email arethaabrams2000@yahoo.com.